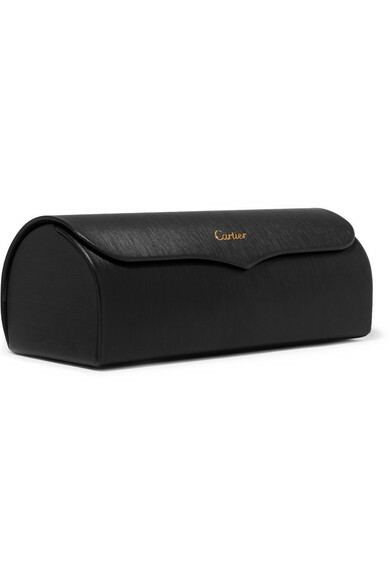 Cartier's sunglasses have a distinct '70s feel. 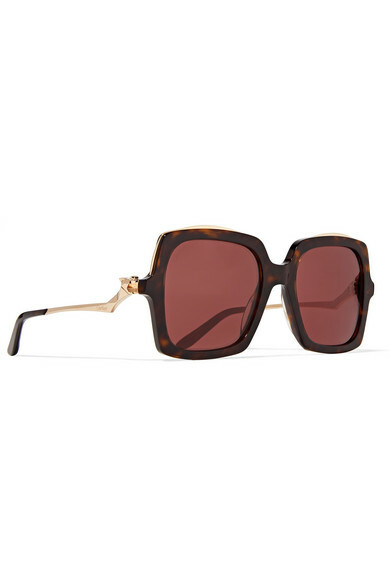 Crafted in Italy from tortoiseshell acetate, this pair has oversized square frames and slim gold-tone arms engraved with the label's iconic panther and logo at the temple. 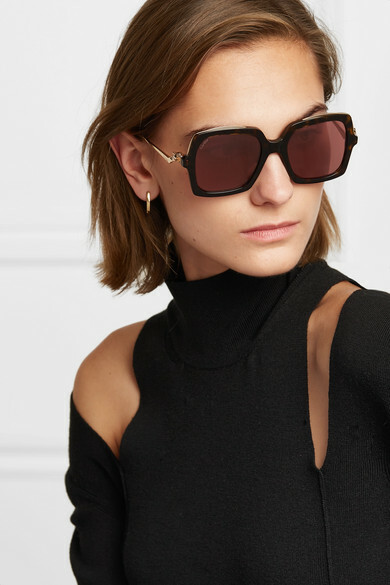 Don't reserve them for warm days – they'll look chic all year round. Shown here with: Chloé Sweater, Jennifer Fisher Earrings, Loren Stewart Ear cuff.